← Curiosity update: Getting back into the science swing of things! Like a lonely little isle. This image is in Mamers Valles, which is a winding canyon in the north of Mars, about 1000 kilometers in length. It likely formed about 3.8 billion years ago. 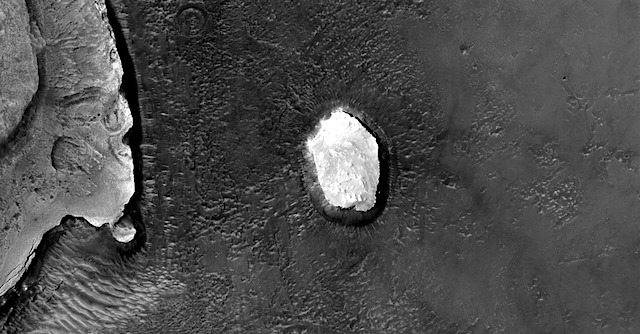 This entry was posted in Reports and tagged Beautiful Mars, High Resolution Imaging Science Experiment, HiRISE, Mamers Valles, Mars Reconnaissance Orbiter, MRO, NASA, University of Arizona. Bookmark the permalink.